The EU funded EuroMed Transport Support Project, in cooperation with the Ministry of Public Works and Transport of Lebanon, organizes a National Workshop on the Customs Convention on the International Transport of Goods under Cover of TIR Carnets (TIR Convention) and on the International Convention on the Harmonization of Frontier Controls of Goods (The Harmonization Convention). The Workshop will take place in Beirut on 9 – 10 April 2019 and aims at presenting the objectives, main provisions and benefits of both Conventions and promoting their implementation. Among the distinguished speakers are Mr. Andre Sceia, TIR Secretariat, Sustainable Transport Division, of the United Nations Economic Commission for Europe (UNECE); Dr. Yarob Badr, of the United Nations Economic and Social Commission for Western Asia (UNESCWA); Mr. Rani Wehbe, Senior Adviser for the Middle East, International Road Transport Union, IRU and Mr. Rami Karout, International Road Transport Union, IRU. 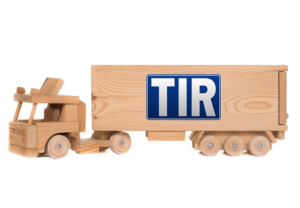 The TIR Convention, sets up the international Customs Transit procedure that permits the seamless international transport of goods by road without undergoing the usual customs procedures or the need to make a financial deposit at each border. Hosted by UNECE, it has now 76 Contracting Parties covering the whole of Europe, and reaches out to Asia, North Africa and the Middle East. The Harmonization Convention is a framework Convention that facilitates international border crossing for transported goods through harmonization and reduction of administrative formalities, and through measures that include joint controls and provision of shared facilities, same opening hours and same types of services at shared borders. The Harmonization Convention has now 58 Contracting Parties. Lebanon is Contracting Party to the TIR since 1997, while it has not as yet acceded to the Harmonization. The Workshop agenda, presentations and other background documents can be found here, while the Press Release is available here.